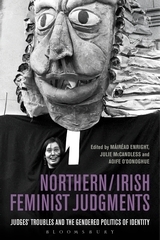 The Northern/Irish Feminist Judgments Project inaugurates a fresh dialogue on gender, legal judgment, judicial power and national identity in Ireland and Northern Ireland. 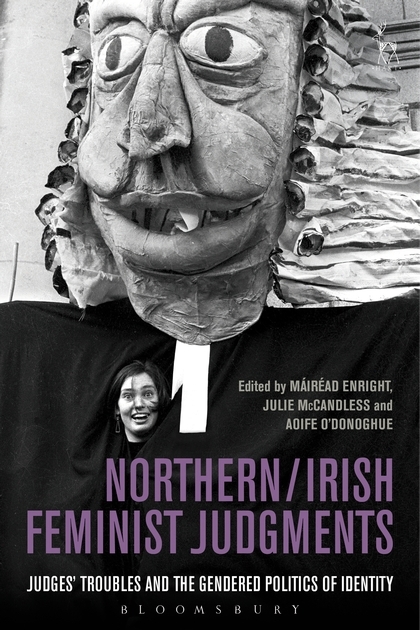 Through a process of judicial re-imagining, the project takes account of the peculiarly Northern/Irish concerns in shaping gender through judicial practice. This collection, following on from feminist judgments projects in Canada, England and Australia takes the feminist judging methodology in challenging new directions. This book collects 26 rewritten judgments, covering a range of substantive areas. As well as opinions from appellate courts, the book includes fi rst instance decisions and a fi ctional review of a Tribunal of Inquiry. Each feminist judgment is accompanied by a commentary putting the case in its social context and explaining the original decision. The book also includes introductory chapters examining the project methodology, constructions of national identity, theoretical and conceptual issues pertaining to feminist judging, and the legal context of both jurisdictions. The book, shines a light on past and future possibilities - and limitations - for judgment on the island of Ireland. Professor Rosemary Hunter, School of Law, Queen Mary University London. Associate Professor Katherine O'Donnell, School of Philosophy, University College Dublin. If you let it, this book will make you think. ... It made me think – it reminded me, I suppose – that legal writing can be wonderful: rigorous, creative, deeply observant, provocative. Read it and see what it makes you think. Máiréad Enright is a Lecturer in Law at Kent Law School. Julie McCandless is a Lecturer in Law at the Law Department at the London School of Economics and Political Science. Aoife O'Donoghue is a Senior Lecturer in Law at Durham Law School.